Smear the pudding pans with a generous amount of butter: it is best to use a proper Yorkshire pudding tray with lots of half pans or any small cast iron or metal shape. Then put in the warming oven to wait (250°C). Shape your flour like a well in a mixing bowl and add all the ingredients while whisking vigorously – no need to use anything electric, hand is good! You should end up with a runny crepe type mix. Get the pans out and pour your batter in each with a ladle. Bake 15 to 20 mn and serve as soon as they have raised and taken a golden colour. Serve for an English Christmas with a roast and lots of freshly steamed vegetable. Pintade à l’orange, anis et hydromel – or guinea fowl with orange and mead! I love game and specially guinea fowl which is luckily in season at the moment! 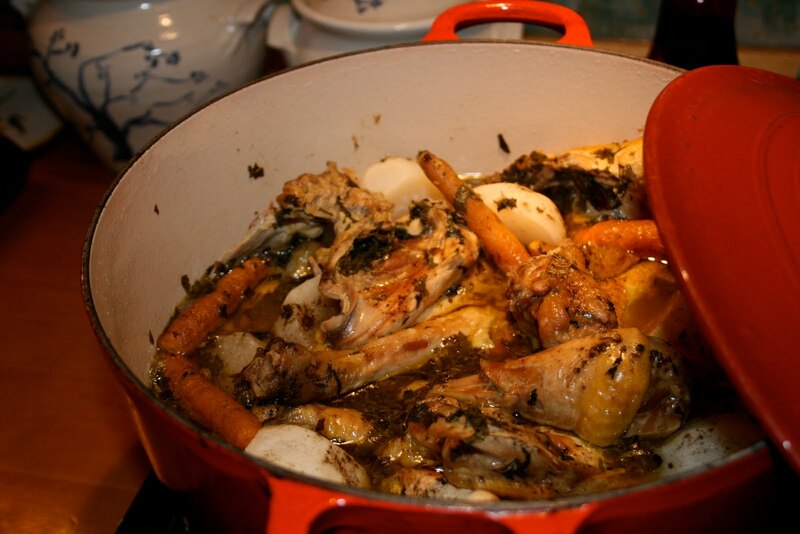 So tonight I made a guinea-fowl pot roast: I am a big fan of pot roasting for any bird because it keeps it juicy and tender and there is nothing worse than dry poultry… This one was certainly not dry as I cooked it in chicken stock laced with the rest of Mead (from a few posts ago) and lots of herbs. The young carrots and the turnips came from the organic farmers’ market and they were the inspiration for the recipe because I wanted them whole and fragrant and they make a really nice looking dish. The turnips came out moist and tender having soaked the fragrance of the fennel seeds and star-anis and tasted better than I ever thought turnips could taste. Fry the chopped shallots with the rapeseed oil in a thick-bottomed pan with a lid. Then brown the meat and season well each of the morsels. Add the stock, a glass of sweet wine and bring to a boil. Chuck in the herbs and seeds. Add the turnips and the carrots – the younger and smaller the better so they can be kept whole and dainty. Add the juice of half an orange and its zest. Bring back to a boil then put in a warm oven and leave covered for 45 min. Go for a run, admire the sunset or do whatever you fancy while dinner is gently simmering – another reason to LOVE pot-roast! 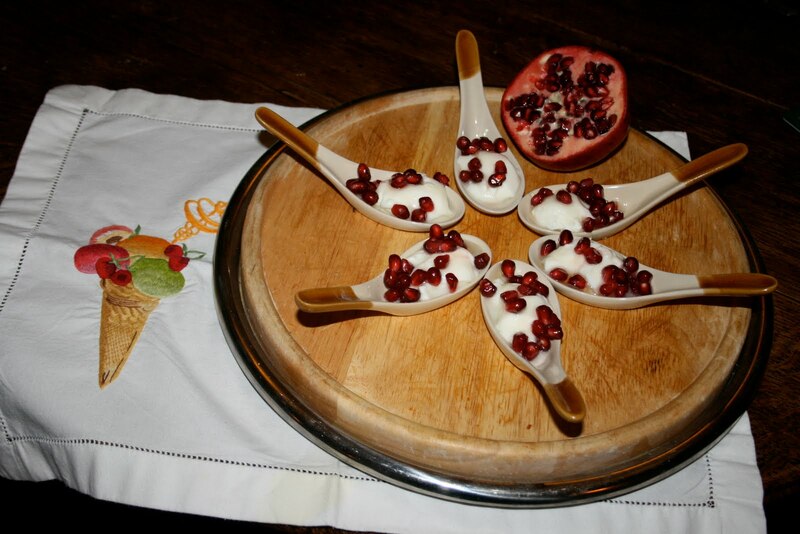 Pomegranate have a short season so enjoy them quickly! I bought mine in Portobello market and served them with a spoonful of “faisselle” (but a fromage blanc or even greek yogurt will do) and a drizzle of agave syrup. It’s good for the body and the soul and makes a splendidly refreshing and picture-perfect pudding. 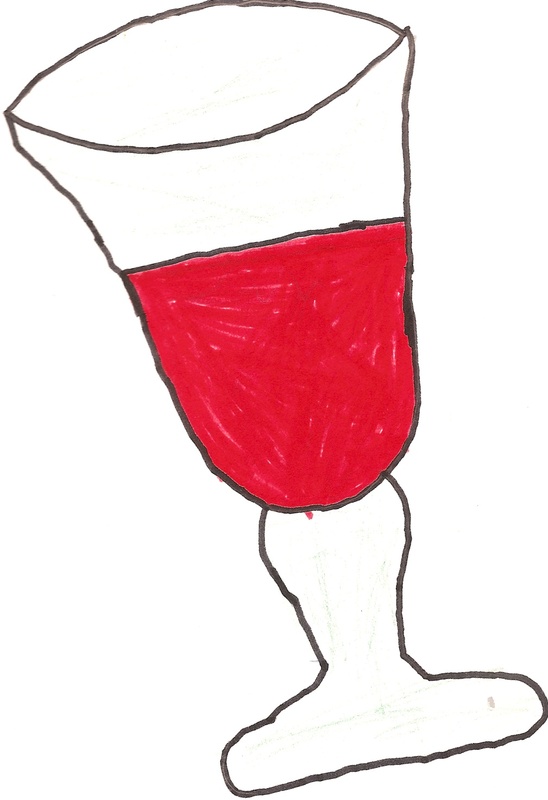 Try also some pomegranate seeds served in champagne cups with a sweet red wine like the spanish “Mataro” I discovered last week. If you prefer, just add a spoonful of sugar to any nice shiraz, chuck in the seeds and enjoy! It reminds me of the peach in wine my mother used to serve to us as kids : This remains my first ever memory of tasting wine. 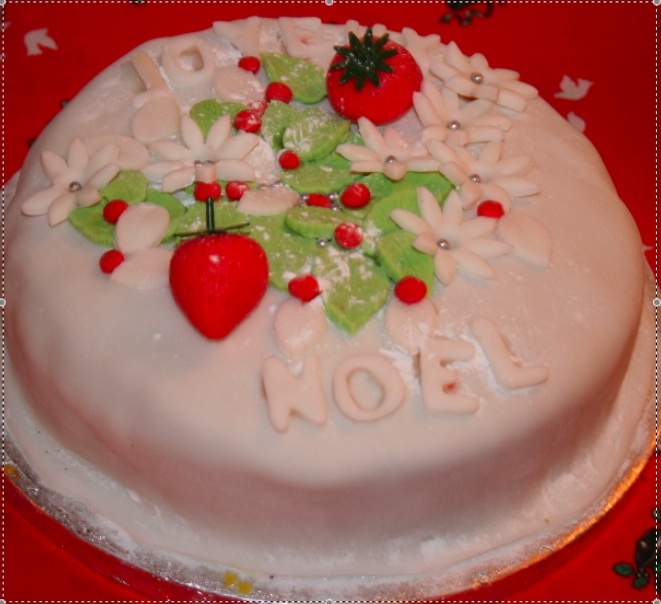 > Another easy cake decorating idea for Benedicte!